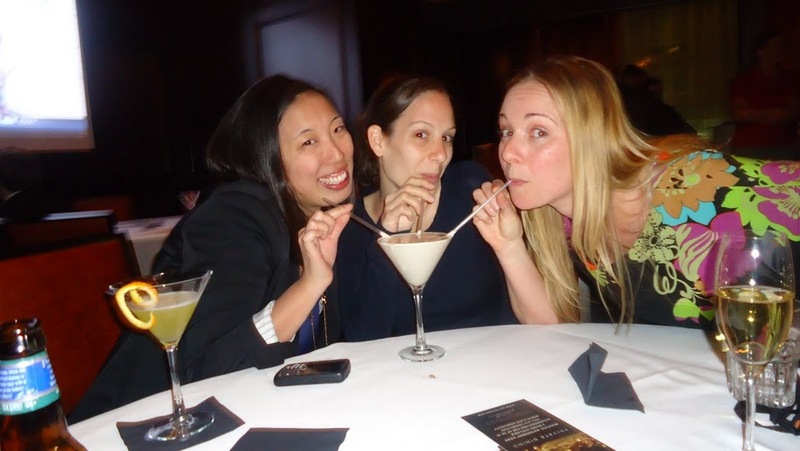 Del Frisco’s Double Eagle Steakhouse – Boston, has opened, and boy did they open in style! I was extremely excited to receive the invitation to Del Frisco’s VIP pre-opening party, and even more excited that Ryan would be able to join me! Ever since my hard hat tour of the then “bare-bones” space, I have been wondering what the end product would look like, and day dreaming about trying their steak! From the second we stepped onto the red carpet (oh yeah, I said RED CARPET -squeal!! ), there was no denying that Del Frisco’s was pulling out all the stops to make sure this was a first class evening. What were the other signs? Perhaps the SEVEN waitresses welcoming us in the foyer, each offering a different beverage. Ryan and I both chose the VIP martini….and I chose about 4 more of them throughout the evening! 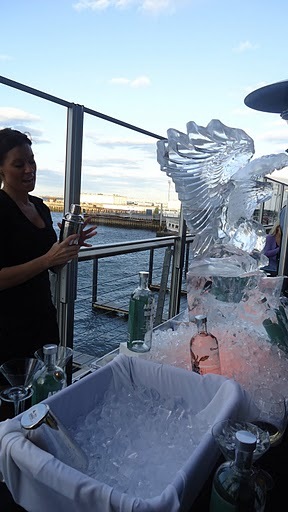 The only other drink that could veer my attention away from the martini for a second was the Absolute Boston Martini, which was served on the lovely, all be it brisk, outside patio. Let’s talk food. Oh man, I just started drooling just thinking about how to recap the food. I think the story is best told in pictures. Yes, the steak was everything you would imagine in a restaurant with “Double Eagle Steakhouse” in its title. You didn’t even have to chew the steak, it literally melted on your tongue. The raw bar blew me away. Endless amounts of beautiful oysters, king crab legs, jumbo shrimp and snow crab claws were all served with the most amazing horseradishy cocktail sauce. That’s right, even the cocktail sauce was on another level! Let me remind you, that the entire time we enjoyed these amazing offerings, the brilliant service almost even outshined the phenominal food. The staff did not let you hold an empty glass, plate, or napkin for more than 30 seconds. Not only that, but they were friendly!! Smiles left and right, and very happy to laugh at any stupid jokes we made! We all know that these pre-opening VIP parties are always fabulous, and cannot always be an indicator of what a restaurant will actually be like when it opens. 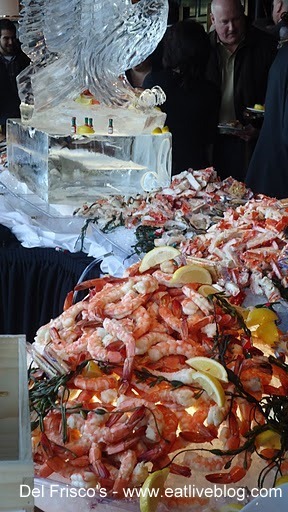 However, if Del Frisco’s has a fraction of the quality food and service they had on their VIP weekend, it is well worth the high price of their menu. 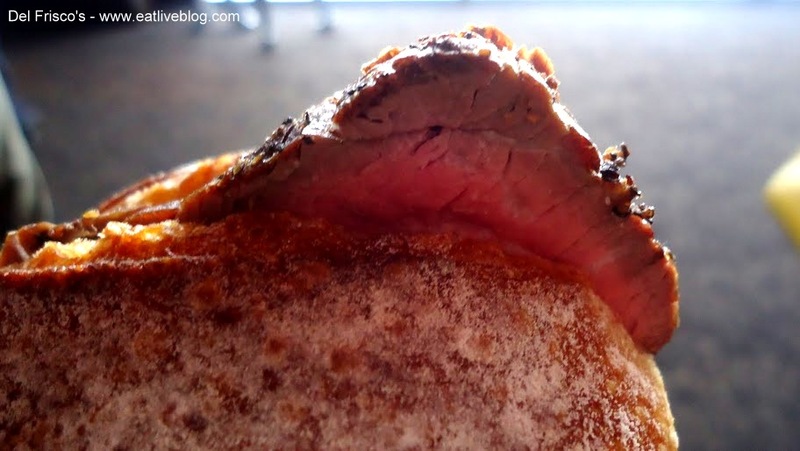 I cannot wait to try this steak house out again in a more typical dining experience. 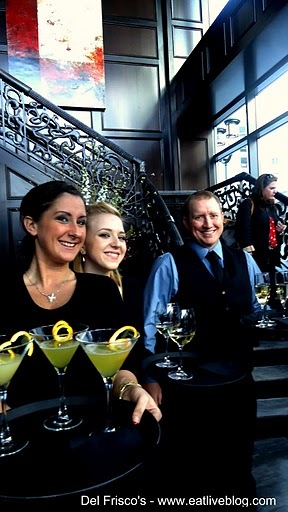 Disclosure: I was a guest of Del Frisco’s during their pre-opening party. While the invite was complimentary, as always, the opinions in this review are all mine! 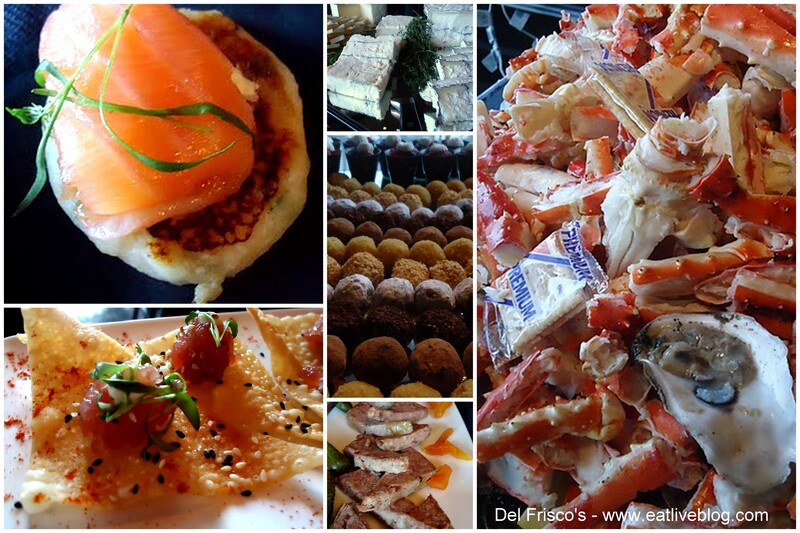 This entry was posted in Reviews and tagged boston, Del friscos, fine dining, liberty wharf, outdoor seating, restaurant, review, steakhouse, waterfront by reneeh. Bookmark the permalink. This was such a wonderful event, and you are so right… if they can keep up that quality of food and service, it’s so worth it! Had a great time catching up with you! That last photo is adorable! I had such a blast hanging out with you! ♥ the last photo! What a great opportunity for you to get to attend that event! I have eaten at the Del Frisco’s in Fort Worth and found it to be top notch. I’m so excited that there is one in Boston now that I’m living in New Hampshire. I’ve put a bug in David’s ear that he really should take me there sometime. I’ve got a birthday coming up in June. Why not, right? I look forward to dining there as well sometime! Great recap! Fancy fancy!! Looks like you ladies had a great time! Sounds like a fun opening. I know I personally couldn’t have been torn away from the seafood. Crab claws and oysters are definitely tops on my list. Sounds like all is well in Boston.